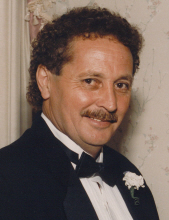 Cherryville - Mr. James Manley Holtzclaw, 69, passed away on Tuesday, April 2, 2019 at Atrium Health - Cleveland in Shelby. Manley was born on February 28, 1950 in Cleveland County, NC a son of the late Willie Randall Holtzclaw and Florence Denton Holtzclaw. He enjoyed playing Rook, bowling and deer watching. Manley had several jobs and over the years he worked for Dixie Lumber Company, Carolina Freight Carriers Corporation, Four Seasons Handy Mart, Bridges Motor Sports and Cyclone Trucking all in Cherryville. In addition to his parents he was preceded in death by a special niece who was like his sister, Kathy Criswell. Survivors include a daughter, Jackie Shull and husband Buddy of Vale; a son Johnny Bridges of Cherryville; two sisters, Elizabeth Ann Fortenberry and Sally Ponese Holtzclaw both of Cherryville; three grandchildren, Cierra and Cricket Shull and Macy Bridges; two great grandchildren, Korbin and Kynzlee Shull and a special friend, Janet Bridges Holtzclaw. Visitation will be from 2:30PM to 3:45PM on Friday, April 5, 2019 at Stamey-Cherryville Funeral Home. A memorial service will be held at 4:00PM on Friday, April 5, 2019 at Stamey-Cherryville Funeral Home Chapel with Rev. Kyeth Lindsay officiating. Memorials may be made to Stamey-Cherryville Funeral Home, PO Box 427, Cherryville, NC 28021 to help with funeral expenses. Stamey-Cherryville Funeral Home & Cremation Service is serving the Holtzclaw family. To plant a tree in memory of James Manley Holtzclaw, please visit our Tribute Store. "Email Address" would like to share the life celebration of James Manley Holtzclaw. Click on the "link" to go to share a favorite memory or leave a condolence message for the family.